The Sunbrero® Softshields ARE MADE OF DURABLE, INDUSTRIAL STRENGTH FOAM! This remarkable long lasting material makes your Sunbrero® mold and mildew resistant. 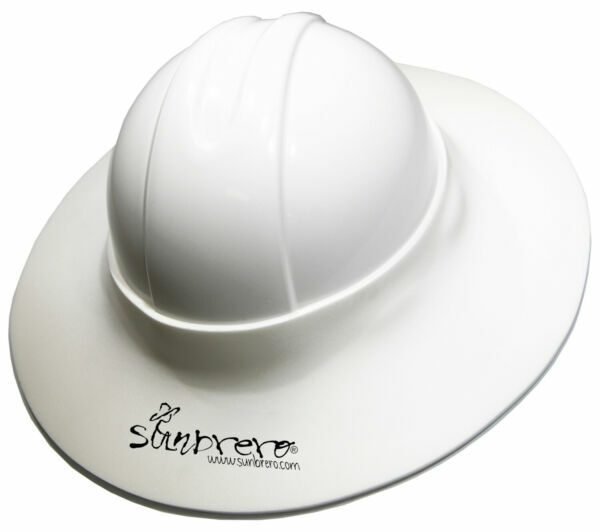 Proudly made in the USA, the Sunbrero® Softshields are designed to fit any standard hard hat. Our product is securely attached to your hard hat using two Velcro tabs. They are certified by an independent laboratory to eliminate 100% of the sun's harmful UV rays! They are 99.9% waterproof, lightweight and durable! They clean up easily with mild dish-soap and water.